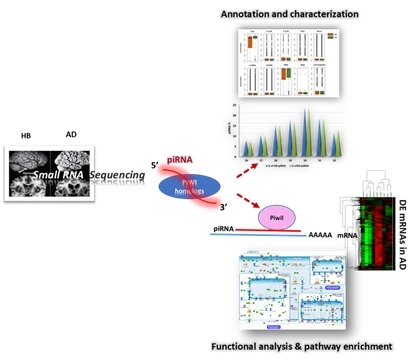 Small RNA sequencing revealed dysregulated piRNAs in Alzheimer's disease and their probable role in pathogenesis. Jyoti Roy, Prof. Bibekanand Mallick, Department of Life Science. IWI-interacting RNAs (piRNAs), ∼23-36 nucleotide-long small non-coding RNAs, earlier believed to be germline-specific, have now been identified in somatic cells including neural cells. However, piRNAs have not yet been studied in the human brain (HB) and Alzheimer's disease (AD)-affected brain.